March will see two other heavyweights go at it besides 'Batman V Superman.' 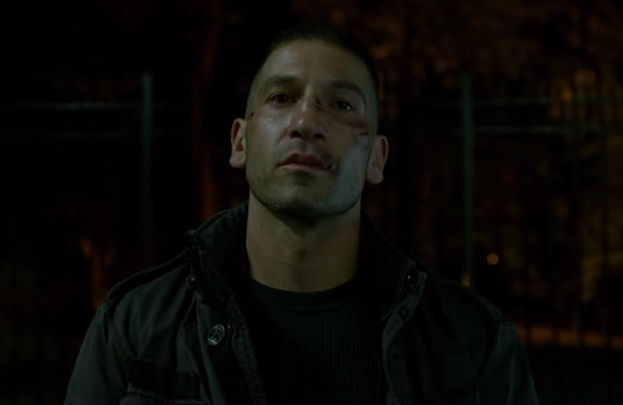 Netflix released part one of "Marvel's Daredevil" Season 2 trailer as Daredevil (Charlie Cox) comes face-to-face with Frank Castle (Jon Bernthal) on a murderous revenge spree as the Punisher. The dark and brooding trailer introduces Castle as an angel of death to those who killed his family and for bad guys everywhere. Team Daredevil question whether or not they created the atmosphere for such a monster to exist. Season two seems to promise a lot of violence and an epic showdown. See part one the trailer now and part two arrives February 25. Daredevil Season Two streams on Netflix beginning March 18.